Oh bugger, even RB knows I should have made an dentist-appointment last month. Is there nothing secret (sacred?) anymore??? 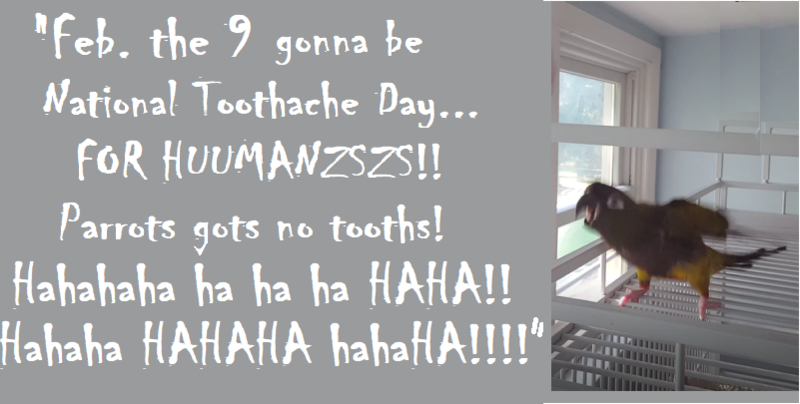 I'm channeling the Rb, who sends this one out to my ol' man, who goes to the dentist tomorrow! His research is correct, though. Please channel this message back to your Bird. "Thanks for the send-off, Bird. Everything is fine, you'll be glad to hear. 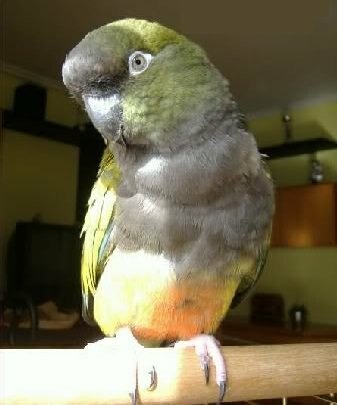 By the way, Bird, I will be grinning when we go to your next vet appointment. I'm really looking forward to cheering all the way there. Payback is a............... hen!" 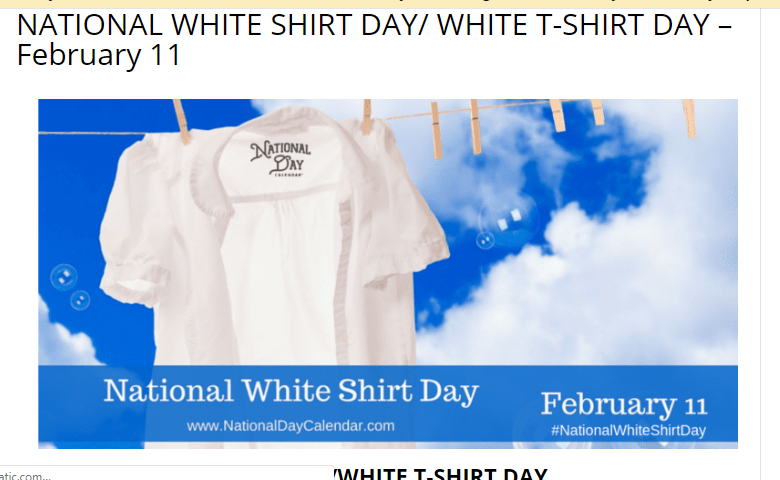 "Tomorrow gonna be National WHITE SHIRT Day, okay, now YOU parronts knows why this funny, rigght??? Rigghght!" "An i ain't makin this stuff up, see? White shirts??? Here, you lookee the link! HahahHAHAH!!!" 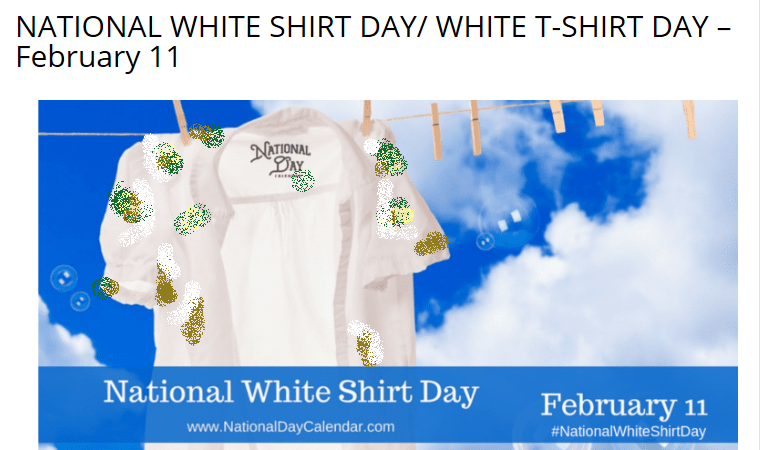 "Now here the real WHITE SHIRT Day! HahahahHAHAHAHA!" Just leave the “r” out of “shirt” and you’re on the right track! Oh, and hey, wanna know a great way to attract parront-chat in public? Go out and about whilst wearing a parrot-poop-decorated shirt (white *IS* ideal!). 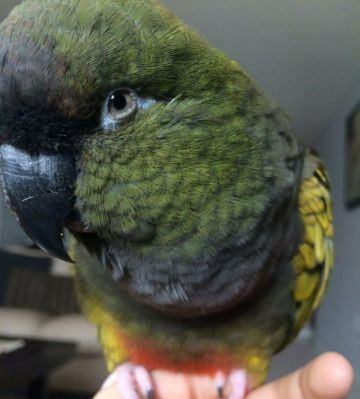 They'll come up to you and say... "So you have a parrot?" My ol' man won't be seen with me thusly, but... I love it! Have had such bedazzlement on my shirt many times! Tho there’s no sparkle to it at all!!! If only our birds’ poo was fairy dust. then there is better chance they walks right out the front door wearin' it! Is good for big laughs!" Wait who is the cute lil birbo in this picture? Surely not our favorite naughty mean RB?!?! He looks sooooooo precious! GLITTER ICING MIX that has made me giggle all evening!! !